With over 100 pieces and 18 different construction elements, the GraviTrax Starter Set offers everything you need to begin building your own action-packed marble run. Discover how the laws of physics affect the journey your marble takes with curves, junctions, freefalls and even a cannon. Experiment using different heights and angles to control the speed of the marble to get it to the finish. Designed with open play in mind, the concept offers endless possibilities to design a different track every time you play. 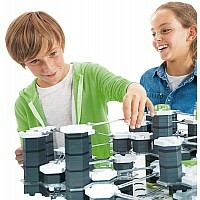 Expand your builds and add some action with a variety of expansion sets and accessories. 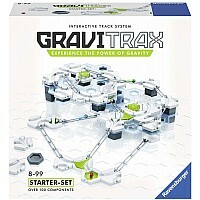 Gravitrax helps develop critical skills, too , as playing and building with Gravitrax builds spatial reasoning and planning skills, and provides a great stealth learning experience. 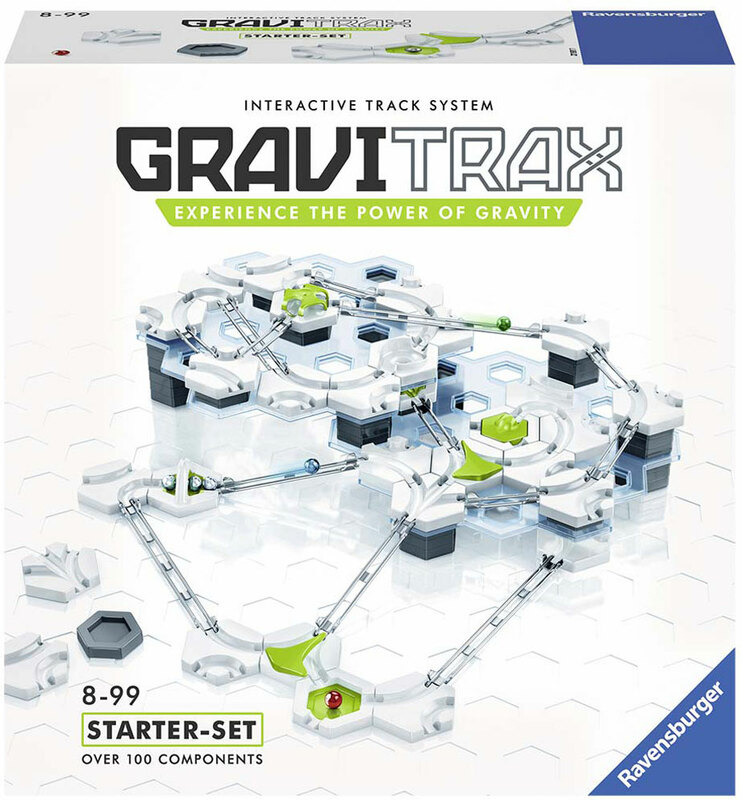 Gravitrax was featured on "Live with Kelly and Ryan" as one of the best products shown at the 2018 New York Toy Fair. Measures approximately: 13.50 x 13.50 x 4.50 inches..